In the warm and sunny conditions of the final week of fall league competition, Missouri River Clay Target League (MR CTL) trap shooting teams from Bismarck, Century, Legacy, Mandan, Shiloh, and St. Mary’s High Schools as part of the North Dakota State High School Clay Target League (ND CTL) Fall Season and top shooters brought home conference and statewide honors for their schools. “It was nice to have some good shooting conditions to finish the season,” said MR CTL Volunteer Coach Duane Boeder, “it gave our participants a great opportunity to showcase their improvement in this shorter stretch of competition,” he concluded. The Century High School Clay Target Team edged out Shanley High School to take home the Conference 3 title. Bismarck High School finished second in Conference 2 competition behind Grafton, and Legacy finished third in Conference 4. In Conference 4, MR CTL shooters Jenna Thompson, Cassidy Lipelt and Haley Boeder swept the podium in the ladies division. Thompson finished second overall and Lipelt and Boeder finished fifth and sixth respectively in statewide ladies’ competition. Mandan’s Jenna Thompson won the Conference 4 Ladies division with a season average of 21.3. MR CTL Photo by Jason Lueder. 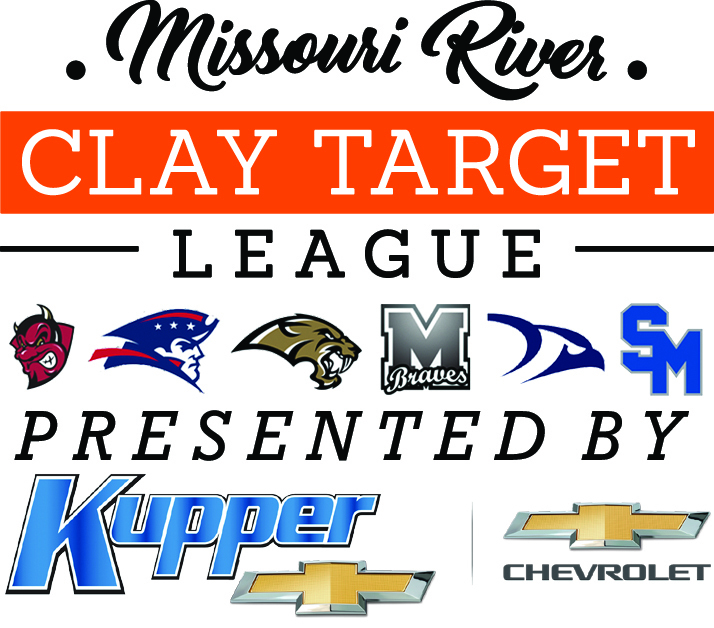 Complete scores, standings and final rankings for the 431-participant fall league can be found at ndclaytarget.com. “These finishes on both team and individual levels show the progression of these schools’ programs in just two short years,” said MR CTL Volunteer Coach Nick Simonson, “the depth at each school is apparent, and the skills continue to improve exponentially for participants across all age levels; I’m looking forward to seeing what our local shooters can do in spring” he concluded. Sign-ups for the spring season of ND CTL competition will be held at all six Bismarck-Mandan area high schools during the last two weeks of January on a first-come, first-served basis. With the recent surge in popularity of the league both statewide and locally (MR CTL shooters made up 27 percent of the fall league participants), interest is expected to be high, and with more than 150 shooters returning from 2018, it is anticipated that all 240 spots on the area high schools’ teams will be filled. For information and updates on the sign-up process, bookmark mrctl.org and check in frequently as the enrollment period approaches. MR CTL teams are led by a staff of 25 coaches and supported by 55 volunteers who help instruct, score and supervise as part of the 2018 ND CTL spring and fall seasons. The program is funded by generous donations from local sponsors including: Presenting Sponsor Kupper Chevrolet, Kirkwood Scheels, Delta Waterfowl-Puddle Jumpers Chapter, Nodak Sportsmen’s Club, Rocky Mountain Elk Foundation, Absolute Gun Dogs, Starion Bank, Lincoln Sportsman’s Club, Lexar Homes, Pretty Loaded, Warford Orthodontics, Lewis & Clark Wildlife Club, Wallwork Truck Center, Pheasants Forever-Lake McKenna Chapter, Advanced Business Methods, Entzel Trucking, RMS TriTec, Houston Engineering, Action Motor Sports, Double H Guns, Angie Sersha, Dakota Community Bank, iGear, Bobcat of Mandan, Central Dakota Strutters-NWTF, Prairie Patriot and Mandan Sporting Goods. Featured Photo: Consistent shooting all season from Trenton Zainhofsky, Blaine Howard and Ethan Knopp (L to R) helped put the Patriots on top of Conference 3 in the ND CTL Fall League. MR CTL photo by Jason Lueder.